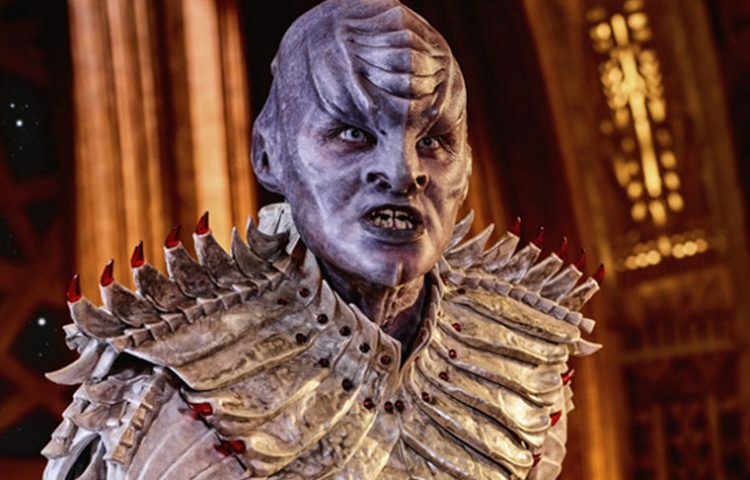 Creation Entertainment has announced the addition of four Star Trek: Discovery actors to the 2018 Las Vegas Star Trek Convention. With 50 confirmed guests, Discovery‘s Wilson Cruz, James Frain, Mary Chieffo and Kenneth Mithell will join Star Trek alum at the annual mega-event in Las Vegas next year. This will be the second year in a row that Chieffo, Cruz and Mitchell have appeared in Las Vegas. They, along with Sam Vartholomeos, took part in the Discovery cast panel at the 2017 event. In addition to the Discovery actors, Original Series stars William Shatner, Nichelle Nichols, Walter Koenig, along with The Next Generation‘s Michael Dorn, Marina Sirtis, Brent Spiner, Denise Crosby, John de Lancie and Deep Space Nine‘s Terry Farrell, Nicole de Boer, Voyager‘s Kate Mulgreew, Jeri Ryan and Enterprise‘s Linda Park, Connor Trinneer, Dominic Keating, Anthony Montgomery and John Billingsley are all scheduled to appear in Las Vegas August 1-5 at the Rio Hotel and Casino. Check out our gallery of our favorite Star Trek cosplay from STLV 2017.